My annual fee hit 2 months ago and I kept it open due to the benefit. They should extend the benefit for anyone who’s anniversary hit during that window too since we paid for the new year on the card because of the benefit as part of the TOS. Bait and switch at its core. Hope you can parlay that into a few extra points at least…? Actually I just got manually approved the day before this announcement. When asked why I wanted to apply I told them I started a business and I love the 50% rebate on pay with points on this card. I’m gonna call to complain once I get the card and threaten to cancel before I get charged the annual fee. @P – I’d definitely call in and ask for more points! In your case, you might even get more than only 10k points! I called and complained and got 50,000 points. 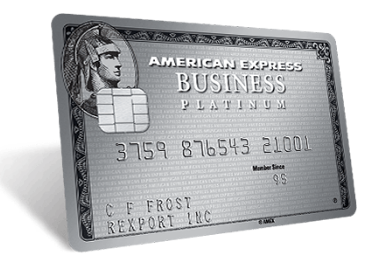 I’ve been a card member since 1988 and currently spend $500,000 year on business spending on the card. I am super upset about losing this perk. It was the only significant one and I really started to use it. Now I need to figure out my family’s travel plans for the next year so I can book it before my renewal in October. Wow – glad to hear you got 50,000 points! I’m amazed though that they would still give you so little given your significant spend. I tried for more, believe me. Truth is, I really started to use the perk and it’s a good one. I’m able to take my whole family to Europe biz class (3 of us) for basically 300,000 points. So much easier than dealing with blackout dates when transferring points and booking directly with the airline which also incurs taxes and other costs. It really takes an advanced engineering degree to figure out the best way to use your points.